The City of Langley is a 10-square-kilometre urban city-centre located in the heart of the Lower Mainland. We pride ourselves on having the small-town vibe while providing visitors and residents all the amenities of a major urban centre — unique shopping and dining, world-class education and entertainment facilities, extensive recreational opportunities and community events — plus over 346 acres of parkland! Langley City’s downtown core is well known for its distinctive retail offerings and eateries along the one way stretch of Fraser Highway. Our downtown core is a pedestrian-oriented area which is an attraction itself! 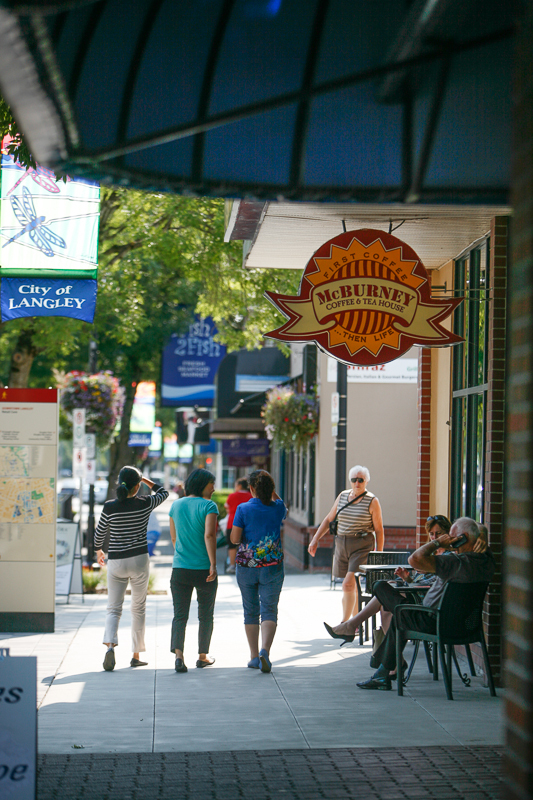 From our locally owned coffee shops, amazing antique and thrift store retailers, a thriving community events scene, culture, and entertainment– Langley City is the place to be! As we continue to grow and evolve, our tight-knit community and unique heritage feel remain at the forefront of our fair city's charm. All of this including our rich history, and proximity to Vancouver and Abbotsford, Langley City just may be the best kept secret in the Fraser Valley! Discover Langley City is a new destination marketing organization working in partnership with the Downtown Langley Business Association and its members, to promote Langley City’s tourism related businesses and activities. Discover Langley City’s goal is to attract new visitors to stay and play in our community, to help us grow our local tourism economy. A glimpse into the heart and soul of the vision that Langley City created to capitalize on future growth and development. This vision is based on four cornerstones: community, experiences, connected and integration. A Perfect Summer in Downtown Langley! Video of The 2017 Fork and Finger Foodie Event is Here!